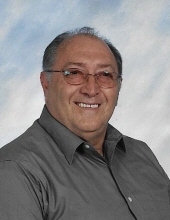 Jerald F. Henderson, 75, of Shreve passed away Saturday, January 12, 2019 at LifeCare Hospice in Wooster. Jerald was born December 4, 1943 in Morgantown, KY to the late Justus J. and Beatrice Mae (House) Henderson and on June 8, 1974 he married Mary Ellen Sprang. Jerald had been a truck driver the majority of his life and was a member of the Shreve American Legion, Marine Corp. League and the NRA. Jerald honorably served his country in the US Marine Corp. during the Vietnam War from 1963-1967. He enjoyed attending reunions with his boot camp platoon #356 buddies at various locations over the years and being a part of the Toys for Tots events. Jerald also enjoyed his old cars; fixing them and attending car shows. He is survived by his loving daughter Jara Lynn (Kevin) Brown of Millersburg, his first grandson; Holden Brown, due May 2019, 4 step-grandchildren; Alexandra, Toby, Charolette and Jewel Brown. Jerald was an only child and was preceded in death by his parents and his beloved son Jayme F. Henderson. Friends and family are invited to call at Schlabach Funeral Home in Shreve, Ohio on Wednesday, January 16 from 3:00 to 6:00 p.m. Funeral services will be Thursday, January 17 at 10:00 a.m. also at the funeral home with Pastor Dan Kirtlan officiating. Military honors will be conducted by the Shreve American Legion Post #67 at Oak Grove Cemetery where burial will take place following committal services. In lieu of flowers the family suggests memorial contributions be made to the Shreve American Legion, P.O. Box 613, Shreve, OH. Online condolences may be shared with the family at Schlabachfh.com. To send flowers or a remembrance gift to the family of Jerald F. Henderson, please visit our Tribute Store. "Email Address" would like to share the life celebration of Jerald F. Henderson. Click on the "link" to go to share a favorite memory or leave a condolence message for the family.